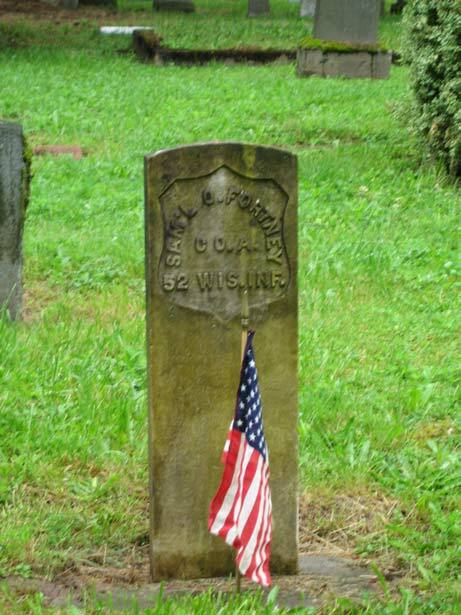 Milwaukie Pioneer Cemetery Association provides for restoration projects and ongoing maintenance of the cemetery and helps to sustain a part of the history of the City of Milwaukie people into the future. Milwaukie Pioneer Cemetery began in 1850 with two burials and was declared "full" in the 1950's. The property was deeded to "the Public of Milwaukie" as a cemetery in 1869 by Mr. & Mrs. William Meeks and Mr. & Mrs. H. W. Eddy and the first Trustees were appointed at that time. There are over 2150 burials according to the records we have been able to locate. Funding for the Association's ongoing maintenance and projects comes primarily from donations and membership dues. The Museum is open Saturday. If you purchased the original edition of this book compiled in 2004, you may purchase just the updated pages, of which there are quite a few. Contact Milwaukie Museum (503) 659-5780 for further information or to purchase the book outside of Museum hours. New Information! We have just added maps of the Plot and Grave layout of Milwaukie Pioneer. If you know the Plot and Grave #'s you are seeking, this will give you a starting point! Click here to go to the cemetery layout.